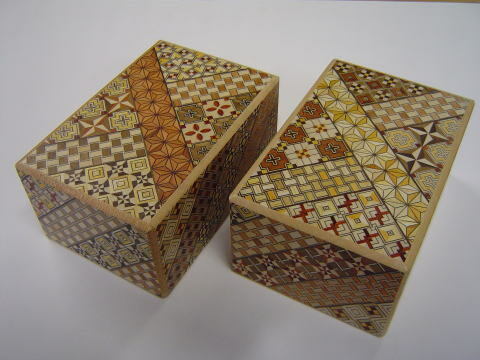 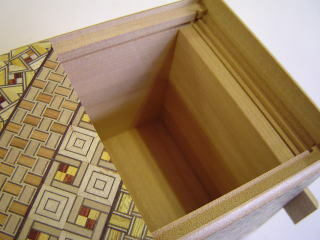 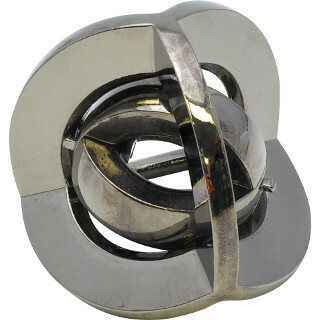 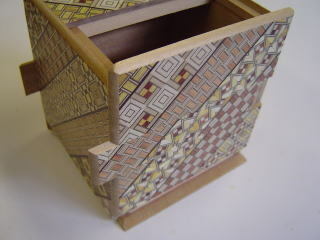 This unusual Japanese puzzle box by Hiroyuki Oka is in the shape of a cube. 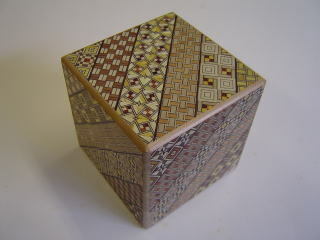 It takes 18 steps to open the cube and reveal the large compartment. 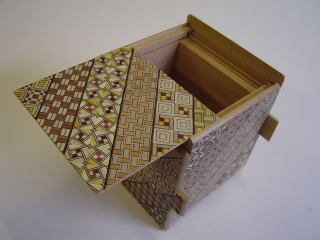 Yosegi zaiku is used for this box.